Fibroids (also called myomas) are non-cancerous growths in or on the muscular wall of the womb (the myometrium). They can vary in number and size, according to the individual. Doctors will refer to the size of a fibroid in terms of a developing baby that size – in other words, 12 weeks. Some fibroids can be as small as a pea, but others can be as large as a seven- or eight-month-old foetus. Submucosal fibroids grow on the inside of the womb and extend into the uterine cavity. Intramural fibroids grow within the uterine wall (the wall of the womb). Subserol fibroids grow on the outside of the womb, on the lining between the uterus and the pelvic cavity. Penduculated fibroids can be attached either to the inside or outside wall of the womb, and they are characterised by a stalk. Fibroids are very common and can affect 20 percent of women over the age of 30. They are not common in women under the age of 20, except in Afro-Caribbean women who are more susceptible to fibroid growths, even in their teens.. Fibroids seem to run in families, but we are not sure at present whether this is a genuinely genetic predisposition, or whether lifestyle and diet play in role in some families. The main symptom of fibroids is heavy periods. When fibroids grow inside the womb (submucosal or intramural), the mechanism that operates menstrual flow may not work properly. The heavy bleeding can be a result of the fibroids making the womb bigger (creating a larger surface of womb lining that has to bleed every month), or the pressure of the fibroids may disrupt the normal blood flow. 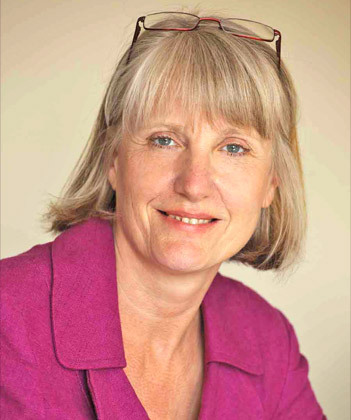 As a result many women with fibroids will have heavy periods, but experience no pain. Some women do experience pain with fibroids — not necessarily intense period pains, but a feeling of pressure and a dragging sensation in the abdomen. If fibroids are on stalks (pendiculated), they can twist, causing extreme pain.In some cases, the bleeding can be so severe that sufferers develop anaemia. During menstruation, some women lose clots of blood that resemble pieces of liver. If the blood flow is heavy, the anti-clotting factors that are normally present in the menstrual blood may not be able to keep the blood flowing smoothly, hence the pieces of clotted blood.Other women can experience periods that go on for weeks, sometimes with no real break between one period and the next. In many cases, fibroids can be symptomless. If they grow in a way that doesn’t cause pressure on the neighbouring organs, you can live with even large fibroids for many years without requiring any medical help. 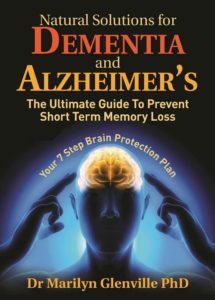 In most cases, they shrink the menopause and post-menopause years. In some cases the first indication that there may be fibroids is when there is trouble conceiving (infertility) or maintaining a pregnancy (miscarriage). Many women will never know they have them as they can give no symptoms. Significantly large fibroids can enlarge and distort the womb, making it impossible for a fertilised egg to implant. Many women who have been treated for infertility may have perfectly normal cycles. They will not have even known that they were pregnant, because the fertilised egg would have been unable to attach itself to the lining of the uterus with fibroids there. If fibroids press on other organs, such as the bladder or bowel, you may experience frequent urination, constipation or even backache. Most women do experience some abdominal swelling, although it may be minor. In other women, the lower abdomen can look as though you are in the early stages of pregnancy. What you eat can be crucial because it can help to control excess levels of oestrogen that can encourage the fibroid to grow. And if you need to have surgical treatment because a fibroid is preventing conception, for example, then it is crucial that you start eating well as soon as can, even before the surgery, in order to prevent a fibroid from regrowing after it has been removed. Your liver detoxifies harmful substances, such as toxins, waste products, drugs and alcohol. It also processes the hormones that your body produces and renders them harmless. It is supposed to deactivate oestrogen, but if your liver is not functioning efficiently. You can develop an accumulation of oestrogen because it is not being excreted properly. Again, this will encourage the growth of a fibroid. The supplements recommended below have been studied in clinical trials and have been found to be effective in connection with fibroids. For best results, you should take them over a period of three months, at the end of which you should be reassessed in order to monitor improvements and changes and then adjust the supplement programme according to your new condition. A good quality multivitamin and mineral would form the foundation of your supplement programme to make sure that you are getting a ‘little bit of everything’. You then add in those nutrients in slightly higher amounts which are known to be helpful for fibroids. Vitamin A is an antioxidant that generally helps to protect your cells against damage. It helps cells reproduce normally and is also needed for red blood cell production. Vitamin A deficiency has been found in women with heavy bleeding. One study showed that 92 percent of women prescribed supplemental vitamin A found that their heavy bleeding was either cured or alleviated. The B vitamins are particularly important for heavy periods for a number of reasons. First and foremost, they are needed by the liver to convert excess oestrogen into weaker and less dangerous forms. One of the B vitamins, B6, is needed for the production of beneficial prostaglandins which help reduce abnormal blood clotting. The B vitamins are also crucial for the conversion of linoleic acid to GLA (gamma linolenic acid) which is necessary to produce these beneficial prostaglandins. The B vitamins are required to convert Omega 6 oils into a form that can be used by the body to produce the ‘good’ type prostaglandins. Without this conversion, your body will more of the ‘bad’ prostaglandins which will increase the amount of bleeding at each period. Vitamin C and bioflavonoids help to strengthen the capillaries in the body, which can reduce heavy bleeding. 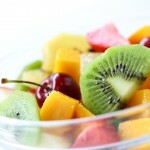 Taken as a supplement, vitamin C has also produced excellent results for many women with heavy periods. One study showed that taking 200mg of vitamin C with bioflavonoids, three times daily, reduced bleeding in 87 percent of the women tested. If you are bleeding very heavily, you may run the risk of becoming anaemic. Common symptoms of anaemia include fatigue, loss of appetite, constipation, irritability and pallor, among other things. If these symptoms seem familiar, see your doctor who will arrange tests. When you are tested for anaemia, the lab measures the level of iron available in your red blood cells (haemoglobin). However, iron is also stored as ferritin in other parts of the body, such as the spleen and liver. When your doctor orders tests, make sure that both your haemoglobin and ferritin are checked, as it is possible to be iron deficient even if your haemoglobin levels are normal. Iron deficiency is a bit of a double-edged sword. If you bleed heavily throughout your periods, you will be more likely to be iron deficient. However, one of the symptoms of iron deficiency is also an increased risk of heavy bleeding. Iron helps the blood vessels to contract, which is need to slow down the flow during your periods. If tests suggest that you are iron-deficient, take extra iron (as iron citrate) at 14mg per day. Vitamin C is essential for the body to absorb iron, so for maximum absorption take 1000mg (1 gram) of vitamin C with your iron supplement ON AN EMPTY STOMACH. Avoid taking iron and vitamin C alongside any other supplements you may be taking. Avoid taking iron in the form of ferrous sulphate (also called iron sulphate), which is less easily absorbed by the body. Only 2 to 10 percent of the iron from this type of iron supplement is actually absorbed by your body, and even then, half is eliminated, causing blackening of your stools and constipation. Try to avoid drinking Indian or regular black tea with your meals, which blocks the uptake of iron from your food. Similarly, phosphates, found in fizzy soft drinks, will prevent iron from being absorbed by the body. Herb teas and fruit juices are fine. These essential fats have a profound effect on every system of the body, including the reproductive system and they are crucial for healthy hormone functioning. One of the drugs used for heavy bleeding, mefanamic acid, works by controlling ‘BAD’ prostaglandins, which can increase the flow of blood. Both red meat and dairy produce contain something called arachidonic acid. This substance encourages the production of a ‘bad’ type of prostaglandin (called PGE2) that leads to increased blood flow, and a reduced blood-clotting ability. The result? Heavier periods. In fact, research has shown that women with menorrhagia have higher levels of arachidonic acid, causing more PGE2 to be made. What this means in practice, is that women with heavy periods should ideally consume less arachidonic acid, which is found mainly in animal-based foods. The other goal is to increase levels of essential fatty acids, which create the ‘good’ type of prostaglandins. Beneficial prostaglandins help to reduce abnormal blood clotting, and they are produced from certain unsaturated fats, called essential fatty acids. 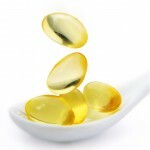 Omega 3 fatty acids are found in oily fish (including mackerel and salmon) and certain seeds such as linseed/flaxseed. The aim of the herbal remedies is to help balance your hormones and to ensure that your liver processes oestrogen efficiently so that any excess is excreted properly. If the fibroids causes heavy bleed, you may need to use medication. However, you can try to reduce the amount of medication you take by also taking herbs. After a few cycles, as the herbs begin to do their work, you may find that the herbs start to control your flow. You’ll know if they are working if, little by little, you lower your medication dosage until you are taking the herbs alone – and you periods are “normal”. 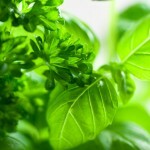 Eventually, your need for herbs should disappear completely, too, as your body regains balance. This herb is best known as a female hormone balancer, and it helps to regulate the oestrogen and progesterone balance so that progesterone levels are optimum. This in turn reduces any oestrogen dominance that could be stimulating the fibroid growth. Signs of an Omega 3 fatty acid are dry skin, lifeless hair, cracked nails, fatigue, depression, dry eyes, lack of motivation, aching joints, difficulty in losing weight, forgetfulness, breast pain. If you have also tried to lose weight by going on a low-fat or no-fat diet, you are likely to be deficient in these essential fats. It is also extremely important with fibroids and heavy bleeding that you have good levels of Omega 3 fatty acids. It is now estimated that we are getting ten times more Omega 6 fats from our diet than Omega 3 and over the last century there has been an 80% decrease in the consumption of these Omega 3 fatty acids. When you eat Omega 3 fats they are converted to substances that have an anti-inflammatory effect on the body. 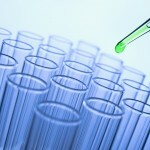 If you need help in obtaining any of the supplements, herbs or tests mentioned above, click, The Natural Health Practice. They can supply all of them for you online or if you prefer to talk to somebody first you can also order by mail order on the telephone. The products supplied by this company are always of the highest quality. If you need help in obtaining any of the supplements, herbs or tests mentioned above, click, Fibroids options at The Natural Health Practice. They can supply all of them for you online or if you prefer to talk to somebody first you can also order by mail order on the telephone. The products supplied by this company are always of the highest quality. * High doses of vitamin A are only a problem if you are planning a pregnancy. However, this caution applies only to vitamin A as retinol. Vitamin A as beta-carotene is safe. To avoid having to purchase numerous supplements for all of the above and to make the process easier, I have put together a supplement programme which contains all the nutrients mentioned above and in the correct dosages. For more information about these click Fibroids Supplement Programme. In my book ‘The Natural Health Bible for Women’ I explain the impact of nutrition on fibroids and also give in great detail a list of the most important nutrients and herbs required in order to help you. If you would like to order these special supplements now, you can do so through the Natural Health Practice by clicking Fibroids supplements at the Natural Health Practice. The tests below have been specially selected to be the most helpful if you are concerned about fibroids. The section above forms part of a larger ebook on Fibroids. In the rest of the ebook you will learn what the medical approaches to Fibroids are and how to combine them with the natural approach. This is called Integrated Medicine and is the way that healthier of the future is moving towards. You will also learn what medical tests will give you an accurate diagnosis of your condition and if you really need to have them. The medical treatments for fibroids are then examined which can include looking at either drugs or surgery. Each treatment is then discussed and the pros and cons of the options explained. The Integrated Approach to Fibroids is considered in some detail so that if appropriate you can know how to combine the best of conventional and natural medicine. 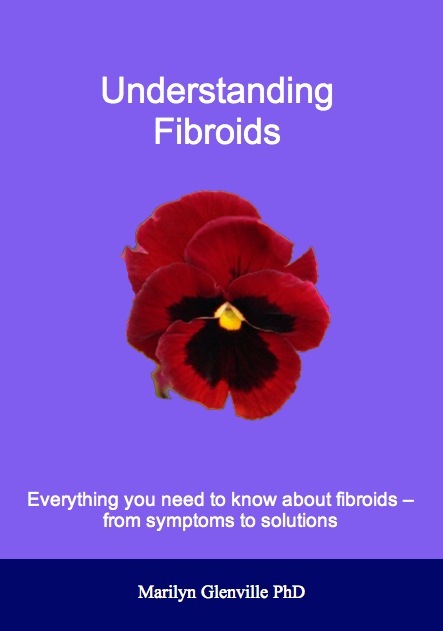 If you would like to read the rest of this ebook click, Understanding Fibroids ebook at The Natural Health Practice and you will be given details of how you can download the whole ebook. 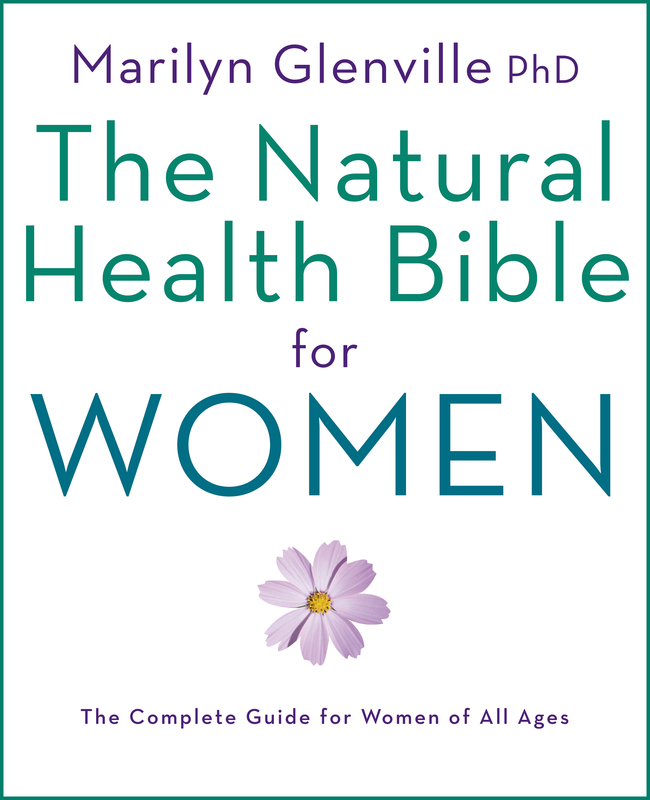 Or if you would like even more in depth advice about Fibroids then read ‘The Natural Health Bible for Women’ book – An international best seller.